Product information "Cable set for Maserati module Sound Booster"
You can get the Maserati sound for your Sound Booster Pro. With this cable loom you can use the Maserati module as the external sound module (ESM). If the sound still isn't powerful or sporty enough and you want a different sound than the one by Audi, you can change the Audi ESM against the one by Maserati. This cable loom is for the connection between the Maserati module and the Sound Booster Pro. You identify the version you need with the KUFATEC module. If there is a SWP: R3 note, you need Version 2. If there is nothing, you need Version 1. 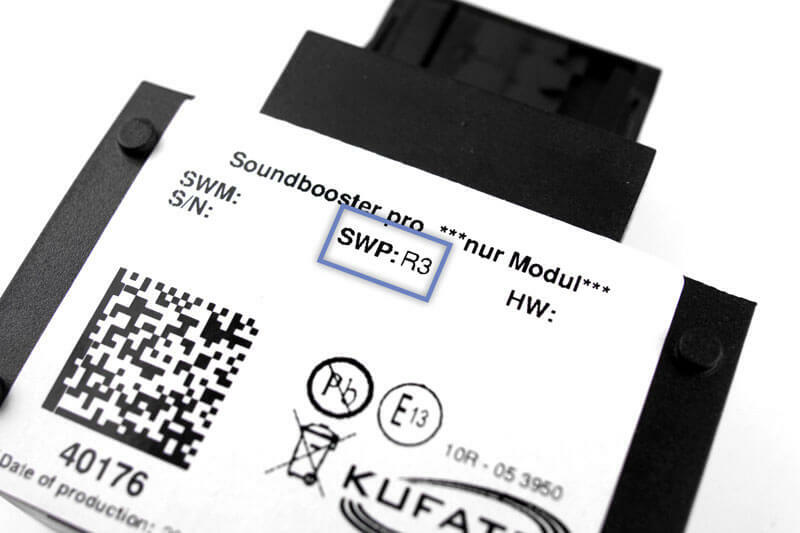 If a new Sound Booster module is ordered, we will deliver it always with "SWP: R3"
Customer review for "Cable set for Maserati module Sound Booster"
Properties: "Cable set for Maserati module Sound Booster"
Installation manuals for "Cable set for Maserati module Sound Booster"